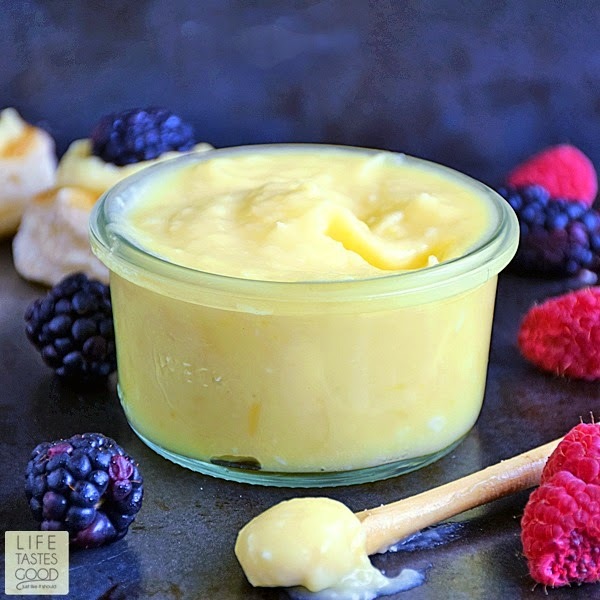 Luscious Lemon Curd is a creamy, tart mixture of fresh lemon juice, eggs, sugar, and butter, with a little zest thrown in for that lip-puckering lemon goodness! This is an easy dessert that tastes like summer and will impress your friends and family! 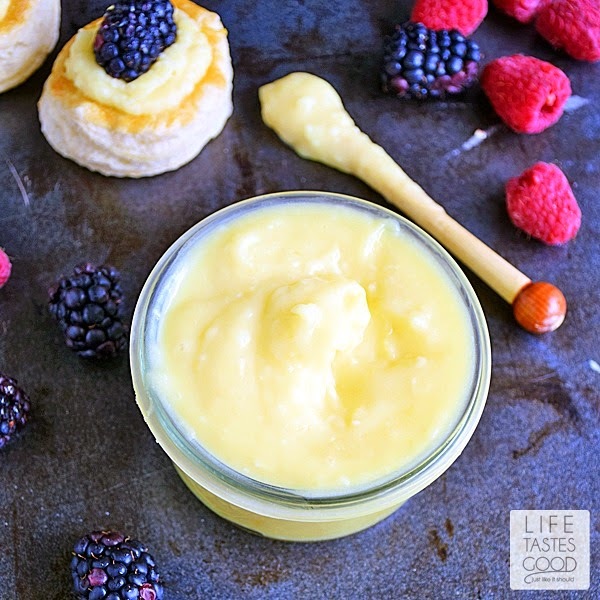 Whether you serve this as is, with some fresh berries, or in a tasty treat such as my Lemon Curd No Churn Ice Cream or Lemon Curd Parfait, it is sure to be a winner! The bright and cheery color along with the sweet creamy goodness of fresh lemons has a way of brightening everyone's day. 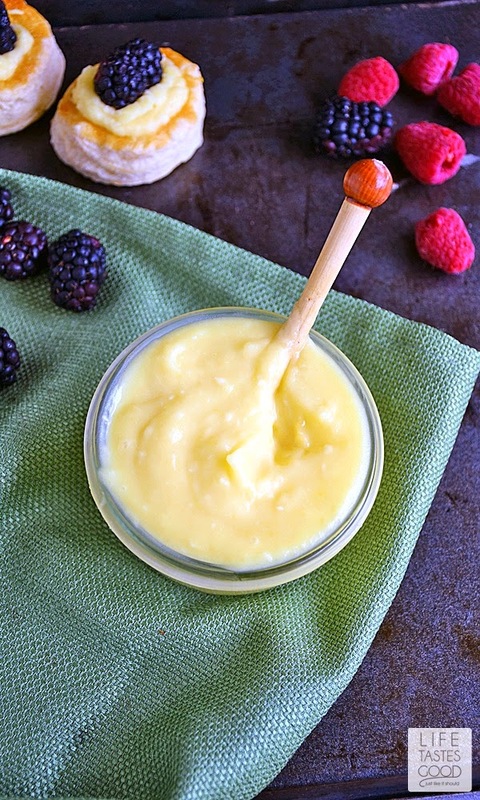 Lemon Curd is wonderfully versatile too! You can use this as a pie or cake filling, spread on toast or scones, use it in thumbprint cookies or just put it in some of those handy little pastry shells. It makes a nice ending to just about any meal, or a fun snack to share with a friend. With just 4 ingredients, this tantalizing dessert is super easy to make. It's true! It only takes 3 minutes in the microwave with some stirring in between heating. It uses ingredients you probably have on hand most of the time and just one bowl does it for the mixing and the cooking! So gather up your eggs, lemons, sugar, and butter and let's do this! In a large, microwave safe bowl, melt 1/4 cup unsalted butter in the microwave (about 45 seconds). Add 1/2 cup fresh lemon juice, 3 eggs, 1 cup sugar, and 1 tablespoon lemon zest. Whisk until all ingredients are mixed together thoroughly. Place the bowl in the microwave and cook on high power for 1 minute. Remove from heat and whisk thoroughly. The mixture will still be thin, but the whisking is key, so be sure to whisk after each heating. Microwave again for 30 seconds and remove and whisk well. Repeat this process 3 more times until the mixture thickens enough to coat the back of a spoon. Keep in mind microwave ovens differ, so it might take more of less time depending on your microwave. Once the mixture is thickened and creamy like custard, allow it to cool. When cooled, cover and refrigerate until ready to serve and enjoy! Thanks for the link love to my Lemon Tiramisu! I adore lemon curd. Yours looks great! 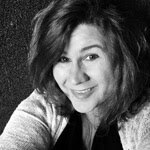 My pleasure, Debi! I'm with you on lemon curd - it is some good stuff!! Thanks for stopping by! I love how simple this is! I love everything lemon! thanks for sharing! Lemon curd is so good! I have made a batch once before in the microwave. :) Your post is reminding me that I need to make this again soon! I love how easy this is! How long does this keep in the fridge for?